Class III NTEP Approved Legal For Trade The National Conference on Weights and Measures certifies the D-60 Legal for Trade with Certificate of Conformance Number13-058You can count on getting accurate readings time after time. 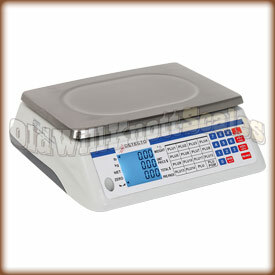 Tare Feature The tare button on the front of the Detecto D-60 can be pressed to "zero out" the weight on the scale. You can then add more weight, and the display will only show the weight of the items you're adding. This sure is useful when ya want to fill a container, or use a tray or basket to weigh your items. PrePack Feature The D-60 has a handy PrePack feature that will let you save a tare value and unit price for your most popular items. This even works great for items that share a container size and unit price. Programmable Backlit Displays You'll have no problem at all seeing the weight displays on the D scales. The D-60 has bright backlit displays so ya can see your weights even in dim lighting. If you don't need the displays to light up, you can set the display off to save battery power. Liquid Level Indicator & Adjustable Feet To get the most accurate weight readings from the Detecto D series, it's important to use these scales on a level surface. 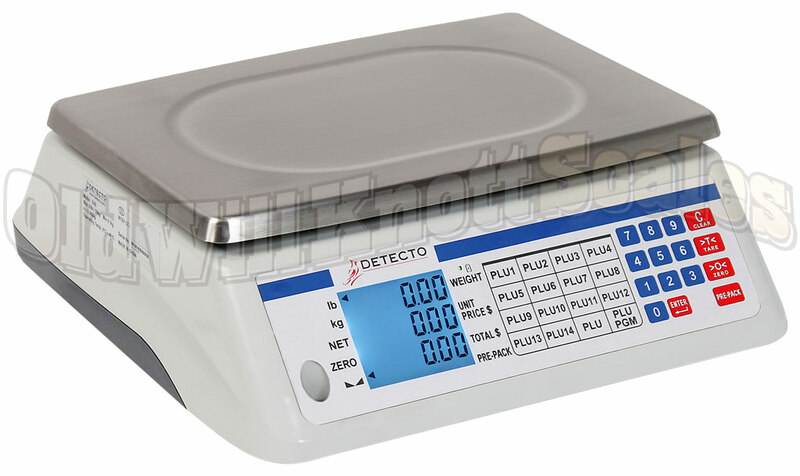 Detecto designed the D-60 with a liquid level indicator and adjustable feet for adjusting the balance. This scale is awesomely good and has all the bells and whistles any small business would need. It came ready to use (charged) and although delivery was slower than expected (shipped from Missouri, not Colorado), we put it to use right away. We sell produce at the Farmer's Market and Oregon allowed us to begin using this scale for sales without an inspection. Yea for NTEP certification. We are glad we got the 60# capacity and went for high quality. We shopped elsewhere and found the 295$ price reasonable. 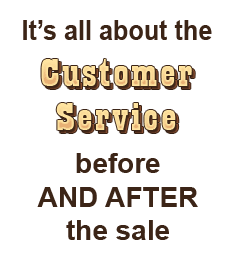 When our shipment was delayed, the sales staff were very helpful in tracking our order and helping us understand why it would not arrived at the advertised date.